The Shipping Observer delivers lively and authoritative coverage of national, international, shipping trade, business trends, technology, regulations, seafarers, oil & gas and various verticals of maritime shipping news. It is a largest information provider to global commercial and professional of maritime shipping business communities and plays a crucial role in connecting industry professionals worldwide. Anchored by its flagship “THE SHIPPING OBSERVER”, it continues to grow and evolve its portfolio to meet the needs of the industry. Attracting weekly readership total being enormous making out tabloid the most read in India and abroad, by wide range of functionaries from CEO to junior management to operations team members to an individual professional. Our readership reflects the loyalty and engagement of our readers, advertisers and our investment in wide range of contents to broaden our appeal. 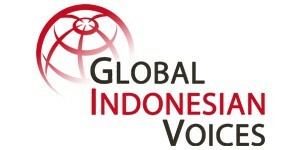 Global Indonesian Voices (GIV) is established for ‘Connecting Indonesia to the World‘ by publishing independent news and stories. It is a start-up that is intended to be a purposeful online media that reports, informs, educates, unites and connects the world to the current political, social, cultural and commercial affairs of Indonesia. GIV is building a platform to spotlight, analyse, question and spark debate on issues that affect millions of Indonesians. 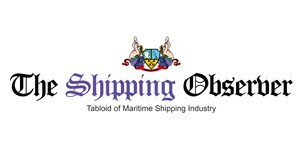 Since 1996 “INDONESIA SHIPPING GAZETTE “, is the only licensed and authorized shipping magazine in Indonesia. It is published on every Mondayand delivered to all transportation executives and staff in Indonesia trading, manufacturing and shipping industries, with the most complete, reliable shipping and logistics information. Indonesia Shipping Gazette aims to effectively guide everyone who needs to deliver cargoes in Indonesia to and from inland / worldwide destination and origin. The history of the magazine begins with 1935. Then, the maritime magazine „Jūra“ was published for the first time in Lithuania. 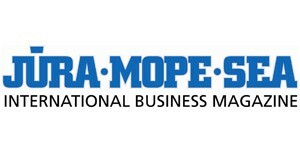 In 1999 international business magazine JŪRA MOPE SEA started its publications in the Lithuanian, Russian and English languages and it continues the history and the title of its forerunner. Transport transit, logistics and industry magazine JŪRA MOPE SEA is oriented towards Eurasian market. The magazine analyses the urgent matters of sea, ports, transport, transit, logistics, ship building, ship repair, oil, gas extraction, climate change, renewing energy and other industries. The publication presents and propagates the innovations, high-tech implemented in the world, the progress of science and techniques. It reveals the importance of the Baltic Sea region as the connecting chain in Eurasian and the global maritime business, transport, transit and logistics market. The magazine is dedicated to the leaders, politicians, transport, maritime business and logistics professionals. In 1999, the MarEx Newsletter was published once a month and sent to just 1,000 readers. Today, the newsletter is published five times a week and is sent to more than 60,000 subscribers. 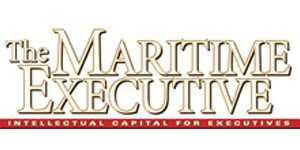 The Maritime Executive’s website was launched in 1999 at www.maritime-executive.com, but it simply served as a platform for the magazine and newsletter. Today, the website is considered a news and editorial source for breaking news, opinions, videos and industry events. More importantly, both the newsletter and the website have become robust revenue sources for the company. Port Technology International (PTI) is the leading quarterly journal and daily online information service for executives at port authorities, terminal operators around the world, maritime academics and industry suppliers. The editorial content, written exclusively for the journal by leading industry experts, focuses on how current and emerging technologies can improve port productivity, efficiency and performance, as well as providing insight into trends, themes and future developments in the sector. Each edition covers a wide range of topics including mega-ships, automation, port planning, design and construction, terminal operating systems, container handling, dry bulk and specialist cargo handling, oil, gas and chemical handling, environment, mooring and berthing, health and safety, and customs and security. 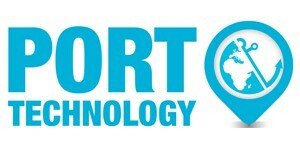 Porttechnology.org is the fastest growing website in the industry with the number of monthly unique users trebling in the last 12 months. Our news alerts service provides a daily round-up of the latest industry news while our weekly newsletter highlights the top news stories from the last seven days, includes details of our most recently published technical papers, and provides listings of forthcoming industry events. The website also includes the Port Technology Directory which has emerged as an invaluable resource for those sourcing and specifying new equipment. It brings together supplier generated content (product news, press releases, technical specs, case studies and videos) to provide measurable and low cost sales leads, connecting buyers and suppliers. 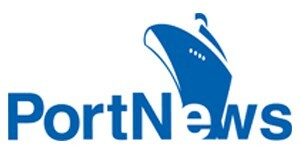 Information & Analytical Agency PotNews (IAA PortNews) was created and registered as a Russian media outlet in 2004. Today IAA PortNews is a leading and widely read source of maritime and river transport news, and a channel of interactions of businesses, government and the media. About 8,000 regular Russian readers visit the website – the fact speaks for itself about the interest to our project. Industry-focused readers from North-West to the Far East of Russia are our readership, as well as the CIS countries, Europe, China and the U.S. 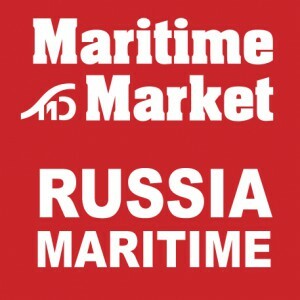 In 2011, IAA PortNews launched in conjunction with the Association of Shipping Companies (ASC, reorganized into National Shipping Chamber from 2013), a new maritime media project aimed at support of the national shipping, the “Russian shipping” portal (www.rus-shipping.ru). In the framework of the project we publish “The Water Transport” (the newspaper dates back to 1918). Its circulation is 3,000 copies. 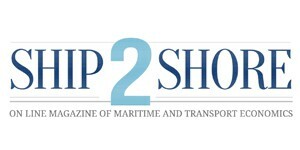 Ship2Shore (S2S) is a publication (daily news, newsletters and illustrated weekly magazine) on line of maritime economy and transport, published in Italian and English. Founded in Genoa in 2004, it is the shipping activities of goods, including the terrestrial phase of transport (road and rail), intermodal, logistics and trading of heavy commodities and energy. S2S is also in charge of the passenger market in its maritime part, namely cruises, ferries and yachting. The typological markets concern all sectors of the shipping and transport: passengers, dry and liquid bulk, and various unitised cargo, special cargo, perishable goods, specialized trades, while the geographical point of view the areas covered are Italy, the Mediterranean and the world. “ Logistics Plus will continue to be dedicated to the art, science and industry of moving products, services and information to the market. Updated every 3 months, Logistics Plus is inspired by the slogan: Dynamic, Innovative & Educational. Logistics Plus utilizes interviews, case studies, commentaries and advertisement to aid in the educating and enlightening of our readers into the ways that people from many different industries practice logistics and supply chains. Logistics Plus is dedicated to the region’s top management executives, and managers of all kinds who are responsible for their organizations’ logistics and/or supply chain activities. Welcome to SAILINGS, our flagship of the Sailings Group. As Indonesia’s No.1 well-recognized, well-supported and well-used shipping magazine for Sea, Air & Land transportation, Sailings is always dedicated to all exporters, importers, traders, transport and logistics professionals who will find everything in Sailings to meet all their transportation needs. The standard and value of the magazine is constantly being improved by a dedicated team of talented and experienced media professionals from Hong Kong, Indonesia, China, Singapore, Malaysia, the United States and Canada. LINK was established in Poland in 1993, as an maritime publishing house and internet-oriented specialist in scope of Polish maritime industry. We aim at introducing an information system that will facilitate contact between Polish and foreign maritime companies. MARITIME PUBLICATIONS and MARITIME VORTAL can help you to sell your products and services or to find partners and suppliers. 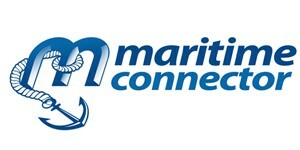 Now we are leading e-commerce Polish maritime services. World Port Development is an independent publication that strives to offer balanced and informed reporting, providing a complete overview for all concerned. We talk to manufacturers, operators, port staff and customers to present the whole picture, not a one-sided argument. In tune with our readership, and their concerns, World Port Development acknowledges their needs and interests, and our editorial staff report with a vigour and enthusiasm that distinguishes us from unchallenging magazines that report ABOUT ports and terminals. We place ourselves on the industry frontline, and report from within the maritime sector FOR ports and terminals. Bright, attractive and uncluttered, every page is eye-catching and easy to follow, stylishly avoiding drab monotony with a colour-coded, easy to reference, layout. Each month we lead with a broad news section, keeping you abreast with the latest developments, reporting on political, competitive and regulatory trends within the industry. Project Cargo Network (PCN) is an ISO 9001 and ISO 14001 certified organisation established to provide a networking platform for the world’s top project cargo specialists. Our Members handle the transportation of oversized and heavy items or shipments that consist of complex components that must be disassembled, shipped and then re-assembled. They offer project cargo management for engineering, procurement and construction companies servicing energy, mining, chemical, petrochemical, pipeline, infrastructure and other sectors. 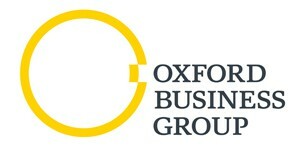 Our fast-growing organisation comprises of 220+ specialists in 105+ countries. PortCalls Asia is a news and data provider for cargo transport and logistics professionals. it focuses on Asian news but also covers developments elsewhere. PortCalls Asia is published by ProQuest Publishing, Inc, which also owns PrintQuest Inc, a fell-service printing press.